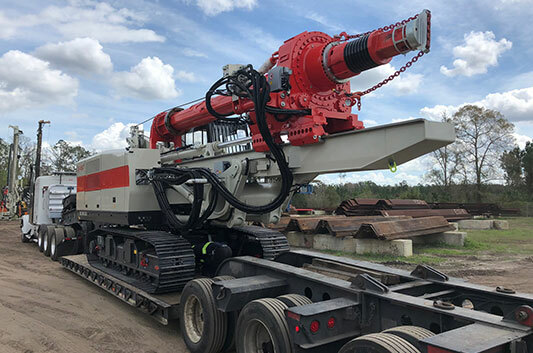 Hammer & Steel sells and leases the industry's most respected lines of low headroom drill rig equipment from ABI, Comacchio, Delmag, and SoilTek. 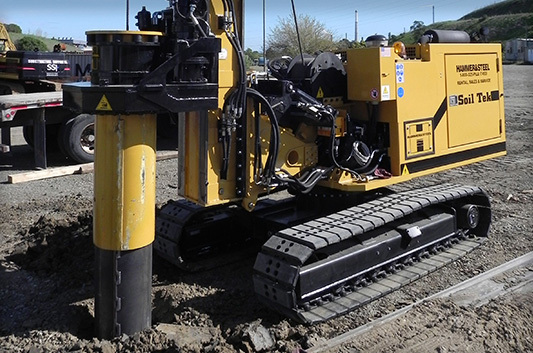 The GeoDrill™ drilling attachment is the newest, high-tech design by ABI - Germany. 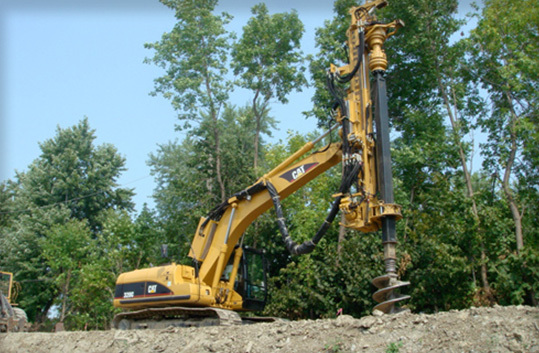 The GeoDrill is a versatile drilling tool used at many job sites including those with limited access, low-headroom conditions, and long-or high-reach requirements. Capable of being mounted to most excavators and many mini excavators, this hydraulic auger utilizes an ultra-large displacement, high torque "Haaglunds" hydraulic motor for direct drive of the auger tooling. 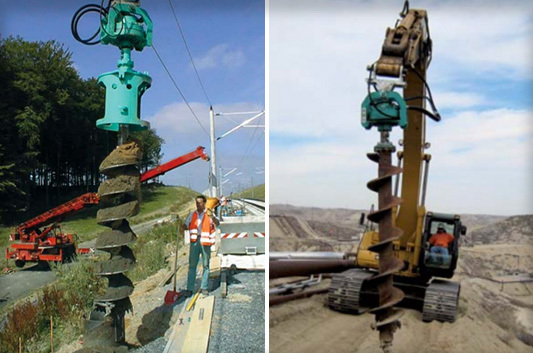 The DELMAG RH 24 drill rig in short mast configuration has a working height of only 25 ft. allowing the rig to be used in low headroom areas under bridges, power lines inside buildings, etc. Hammer & Steel sells and leases the SoilTek S35C and S60 piling rigs which feature restricted access work, low head room, powerful engines, and much more. 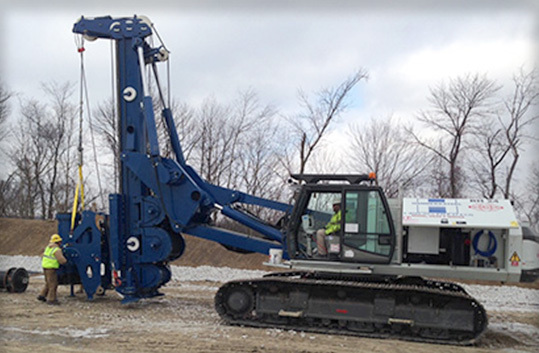 The CH 450 LHR can be configured for construction of bored piles in low headroom conditions, featuring a short mast.